Jane was born in Los Angeles California to Jeanne and George Lambertson. She and her husband, Ben, made music together for 46 years. Jane was Mom to BJ, Carrie and her husband Garry, and Mimi to her beloved CJ and Carly. Jane was Daughter In Law to Alice and the late Bill. She was also Sister to Anne and her late husband, Dan, George and his wife, Francoise, and Aunt Jane to Alexandra, Maximilien, Dan, and Hayley. Jane was Cousin to the Parker Boys and Ritchie kids, and Friend to so many. Jane graduated from Harbor Fields High School on Long Island, attended Oberlin College and Conservatory of Music, graduated from Gettysburg College and did graduate study at the Pennsylvania State University, Wilkes University, Mount Saint Mary’s University and McDaniel College. In addition to teaching lessons at her private piano studio, Jane taught at Francis Scott Key Junior High School in District Heights, Maryland and retired from the Gettysburg Area School District. She taught Classroom Music, was K-12 Department Chair, and served on the Music Curriculum, Portfolio, Class Size, and DEAR Committees. Jane was a past accompanist for the American Choral Directors Association Pennsylvania Honor Choir. Jane was co-founder of the Gettysburg Children's Choir in 1999 and has since served in a volunteer capacity as its Managing Director and President. Jane’s community service also included Treasurer of the Gettysburg Community Concert Association, past member of the Gettysburg Area Recreation Department Board, past member and President of the Friends of the Library Board and past member of the Gettysburg College Alumni Board. 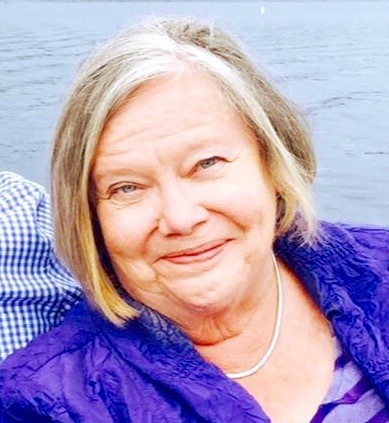 Jane served as an active volunteer at her church, the Memorial Church of the Prince of Peace Episcopal and was a past Director of the church’s Children’s Choir. Jane was an avid bridge player in a number of bridge groups including the Gettysburg Hospital Bridge Club. A Memorial Service to celebrate Jane’s life will be held at 11am, Saturday, May 5 at the Memorial Church of the Prince of Peace, corner of Baltimore and High Streets, Gettysburg, PA and officiated by the Reverend Dr. Herbert Sprouse. In lieu of flowers, memorial contributions may be made to the Gettysburg Children’s Choir, PO Box 4178, Gettysburg, PA 17325.